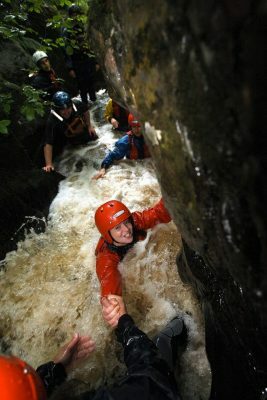 Gorge Walking & Canyoning in North Wales. 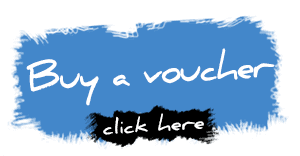 Based out of Llangollen we offer 2 options of exploring Gorges and Canyons. You’ll slide down slopes into plunge pools, jump off gorge sides into deeps sections and descend clinging to rock walls, clambering over boulders and into the guts of the gorge. Yo will be provided with all the safety gear and clothing that you'll need to stay warm and safe and have a plus a first-rate instructor with you. .
A Full day full-on option for the adrenaline junkie. If you are feeling a little more extreme this is the option for you. The Prysor Canyon is everything in a Bigger Way. 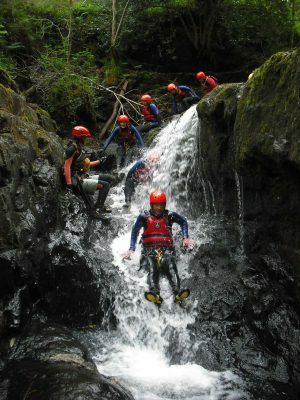 Abseil down Waterfalls, Jump from High cliffs into deep pools. Slide down the most amazing Natural bedrock waterslides. *This Activity is run by a partener provider.